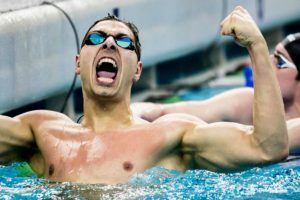 Haas was aiming to be the first man in history to four-peat in the 200 free. 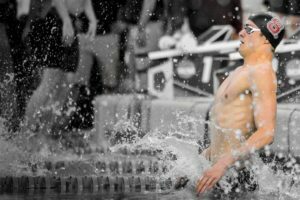 SwimSwam’s Jack Spitser was on deck to capture all of the Friday night emotion. 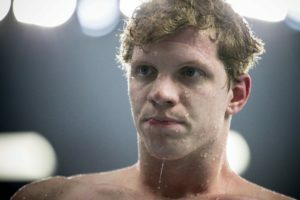 NC State’s Coleman Stewart is in the hunt for two NCAA titles tonight, though the marquee matchup is a heavyweight title bout between Townley Haas and Andrew Seliskar for the 200 free title, perhaps the team title and perhaps even Swimmer of the Meet honors. 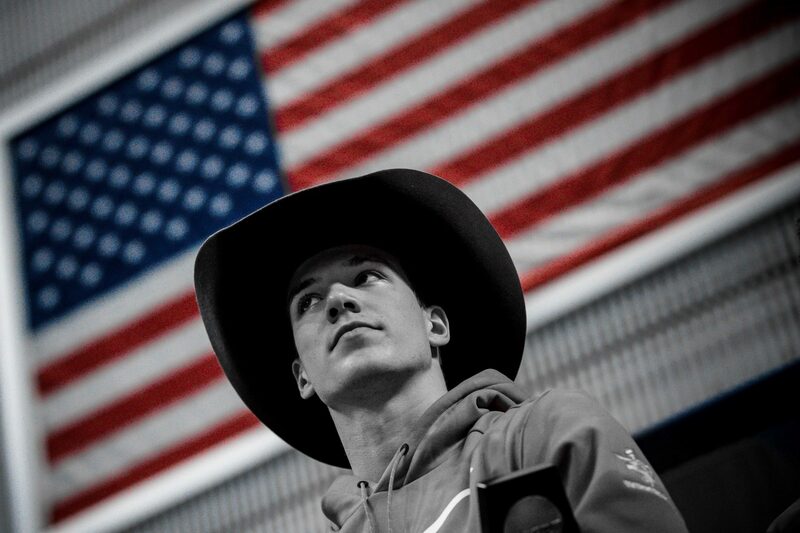 Drew Kibler is a competitive swimmer who represents the United States internationally. 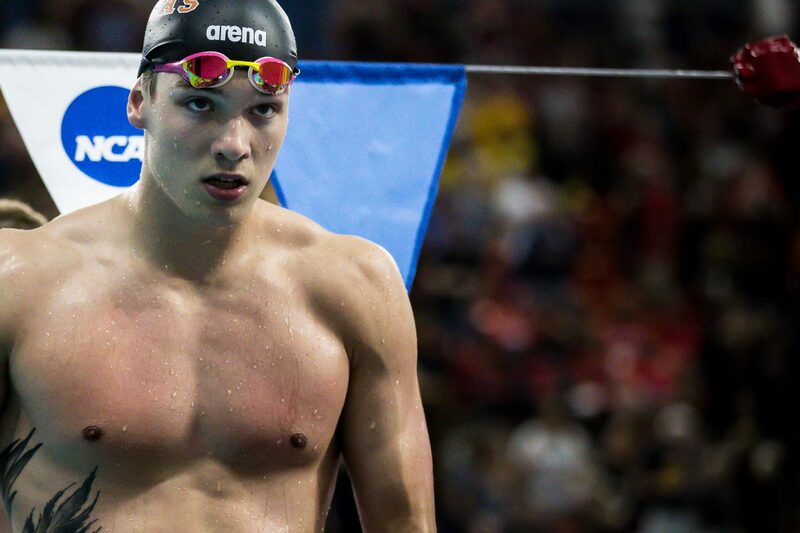 Kibler was first on SwimSwam at the age of 13 when he went 22.08 in the 50 free. At the 2016 Jr pan pacs, when he was just 16, Kibler brought home a haul of hardware. He placed 3rd in the 200 free (1:49.04), 10th in the 100 free (49.04), 2nd in the 4×200 free relay, 1st in the 4×100 free relay, and 9th in the 50 free. Kibler broke the National Federation of State High School Associaton’s national public school record in prelims of the 50 free at the 2018 Indiana Boys State Meet, and helped the Carmel boys to a new public school record in the 200 medley relay. 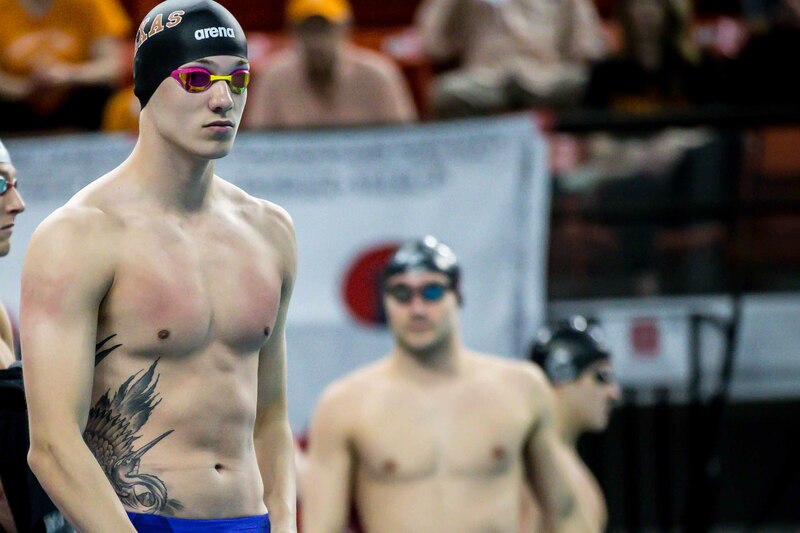 In the 50 free, he touched in 19.38, breaking both Indiana state and public high school records. The medley relay went 1:28.00, with Kibler splitting 20.64 on the butterfly leg. 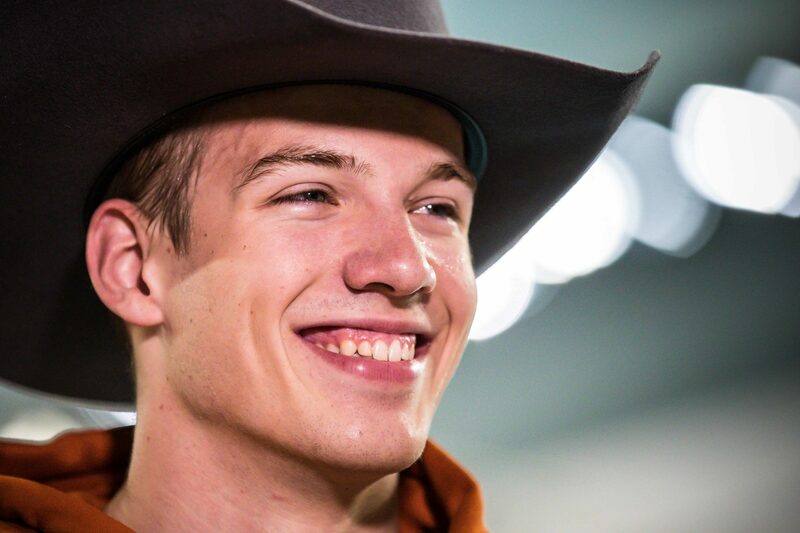 On February 27, 2017, Kibler announced his verbal commitment to the University of Texas. This was in the middle of Kibler’s junior year of high school, and at the time he had best time of 19.38, 42.99, 1:33.30, and 4:15.36 in the 50-500 freestyle. 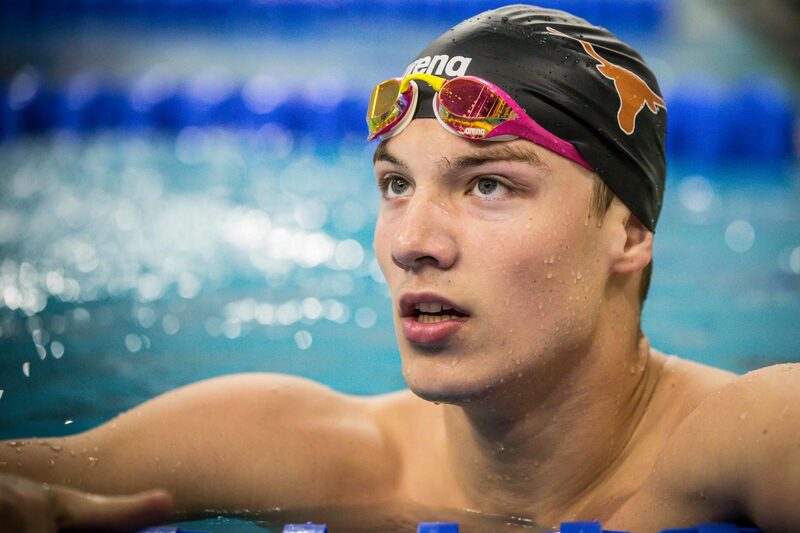 In what was perhaps a view into the future of things to come, Drew Kibler became the first high schooler ever to break 1:33 in the 200 free on March 3, 2018, and did it in Austin, Texas, which would later serve as is college home. 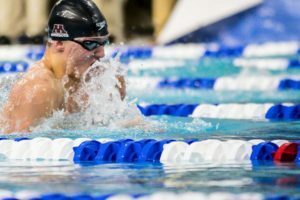 Competing at the American Short Course Championships, Kibler hit the wall in 1:32.66, lopping over .6 off his best time and becoming the 2nd fastest 17-18 male in history, behind Maxime Rooney, who had swam a 1:32.18 his freshman season at Florida. 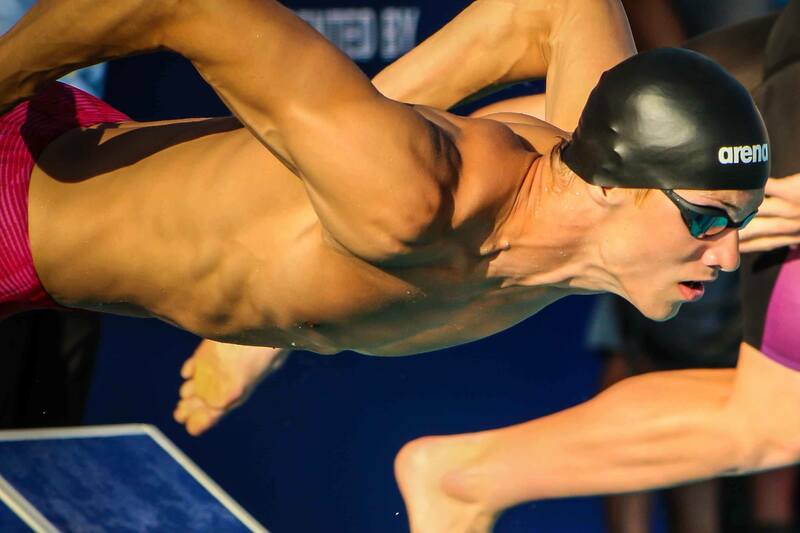 At his 2nd Jr Pan Pacs, Kibler was named 1 of 5 captains for the 18-under team USA squad. In Fiji, Kibler garnered even more hardware than 2016, earning gold in the 200 free, 100 free, 4×100 free relay, 4×200 free relay, and 4×100 medley relay, as well as silver in the 50 free. 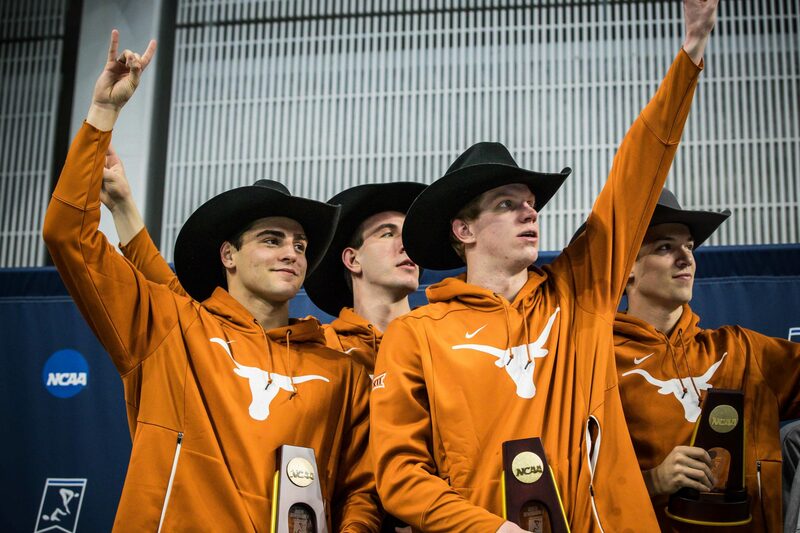 In his freshman year at Texas, Kibler scored in all 3 of his individual events at the 2019 NCAA championships. In the 50 free, he tied for 9th with Cal swimmer Michael Jensen in 19.15. 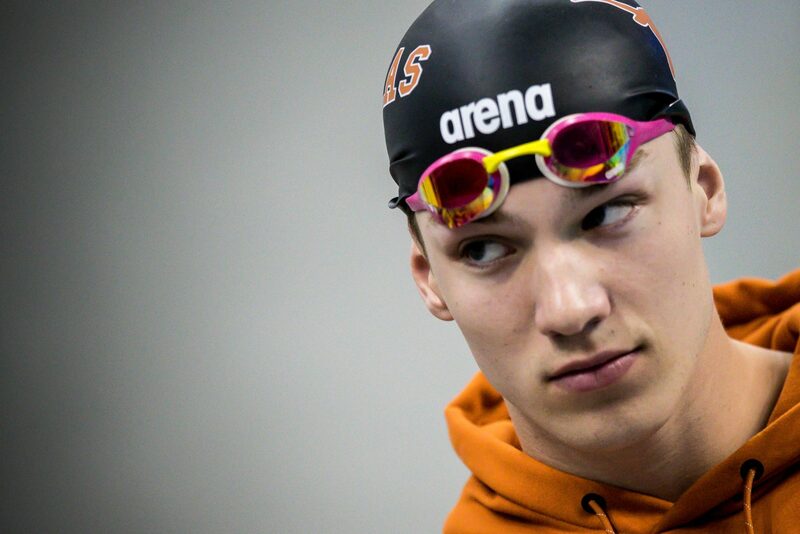 In the 200 free, Kibler cracked the top 3, touching in 1:31.76 ahead of his Texas teammate (and 3-time defending champion in the event) Townley Haas to place 3rd overall. In the 100 free, Kibler placed 16th with a 42.63 after making the B final in the morning with a 42.17. 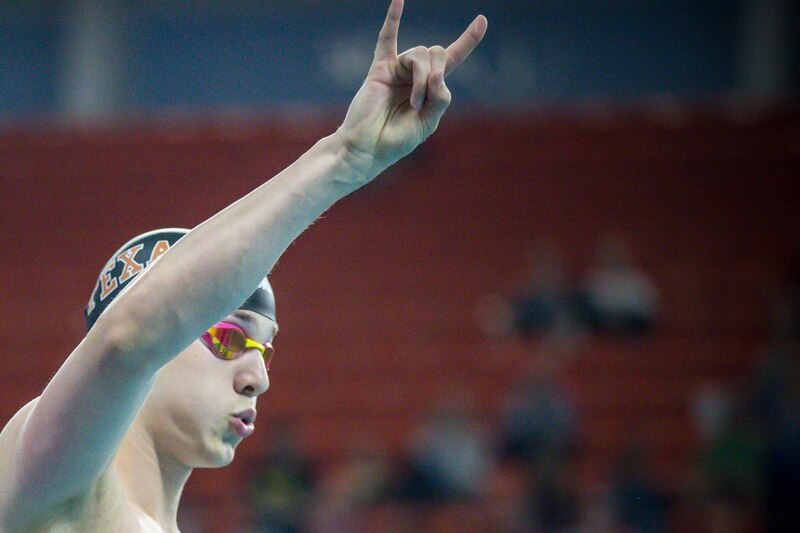 Kibler was also a valuable relay piece for the horns, leading off the 800 free relay (1:32.06) that went onto to break the American and NCAA record, going 2nd on the 3rd place 200 free relay (18.62), and leading off the morning 400 free relay (42.54) that would place the longhorns comfortably in the top 8, priming them to win the event.